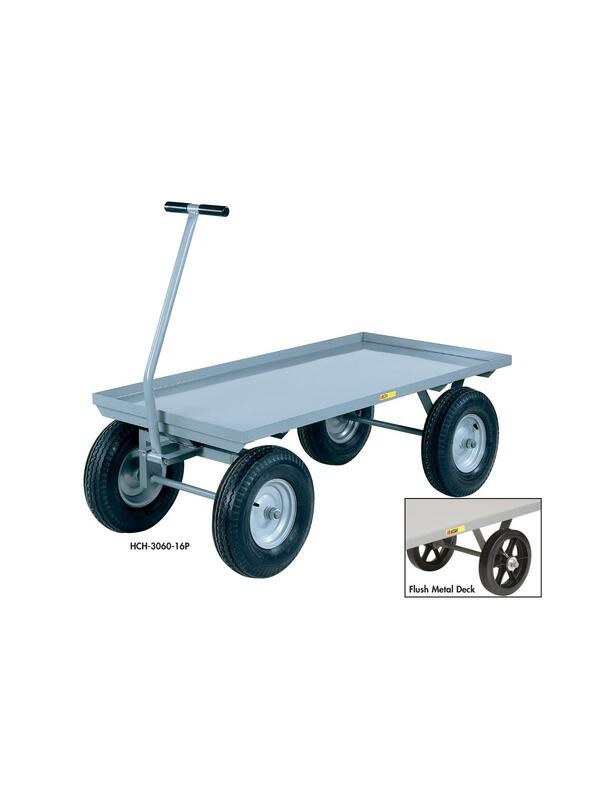 Fifth wheel steering provides greater maneuverability under heavier load conditions and over uneven surfaces. 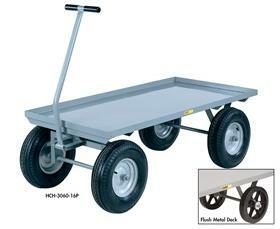 Steering mechanism turns a full 360 degrees, providing the shortest possible turning radius. Double grip T-Bar handle allows for 2-man operation. Pan style steel deck with 1-1/2" lip or flush deck. FOB Shipping Point. Mold-On Rubber 12" x 2-1/2"